After Sana Safinaz lawn 2013 and its prêt collection, the brand has announced Sana Safinaz eid collection 2013 for women. The collection is going to be released soon. 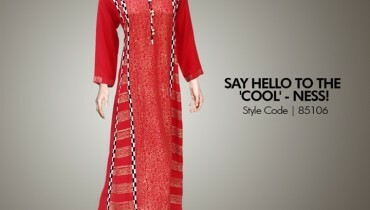 There are embroidered clothes with elegance that is seen in many of Sana Safinaz clothes. These clothes are great for women of various ages. Bright and bold colors as well as simple and light colors can be seen in Sana Safinaz eid collection 2013 for women. Thus, you can expect great clothes and a wide variety in Sana Safinaz eid collection 2013. Overall, it is another fabulous Sana Safinaz collection. Sana Safinaz entered the fashion industry many years back. Its fame has now gone beyond the borders of Pakistan. Sana Safinaz is basically a brand owned by two ladies. Sana Hashwani and Safinaz Muneer own the brand. It has indeed come a long way. Gorgeous and stylish dresses are provided by Sana Safinaz. The brand is synonymous with graceful, chic and eye-catching clothes. It offers prêt-a-porter, diffusion, bridal wear and lawn dresses. Sana Safinaz clothes are sold via multi-brand store. The brand’s flagship stores have also been opened now. The fabrics of Sana Safinaz are sold via multi-brand stores. 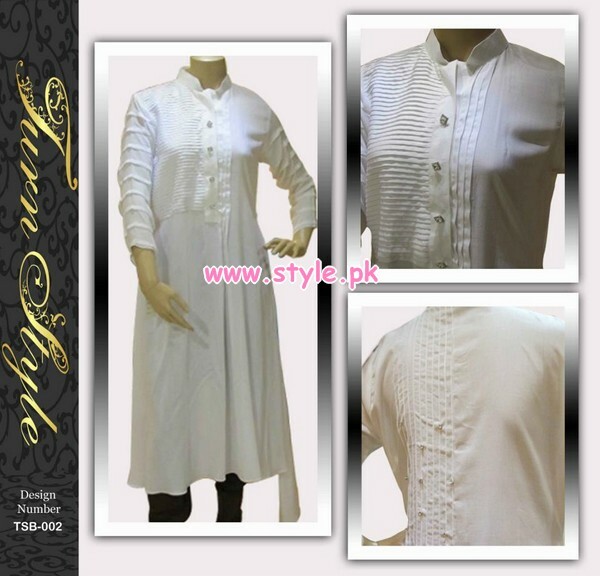 You can see some of the pictures of Sana Safinaz eid collection 2013 for women below. The full catalog of Sana Safinaz eid collection 2013 for women will be available soon through the brand’s Facebook page. The collection is scheduled to be released on 4th July 2013. It will then be available through fabric stores nationwide soon. If you want to see the catalog when it is uploaded and want to see where it will be sold, you can go to the Facebook page of Sana Safinaz. We have provided the Facebook page’s address here for those who are not connected with the brand on Facebook.